12th June 2001, Bangalore: Charisma, which means 'A personal attractiveness or interestingness that enables you to influence others most beautiful' Mr Manik Soni in his endeavor. 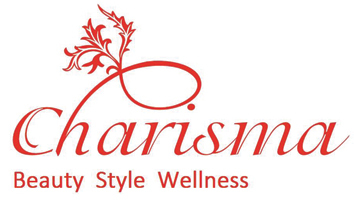 Charisma brings to you the Thai & Ballini concept of luxury and holistic treatments to Bangalore & Mumbai. This one of kind beauty spa salon & slimming center we have in Bangalore & Mumbai and very soon opening in other countries.Charisma, which have been styled by one of the biggest interior designer from Bangalore is inspired by Thai and Bali influences. The spa and salon is an oasis unto itself which offers a serene and blissful epicenter of holistic processes where the mind body and soul undergo a complete process of relaxation and rejuvenation. The diverse array of exotic spa therapies coupled with well researched preparations of aromatic and therapeutic oils transport you onto a different plane. The pink colour & Glass product display offset by magnificent rooms made by bamboo sticks and scent of mild lingering fragrances with specially Jaccuzzi designed in a such way give a stylish touch to the ambience while maintaining its raw and rustic feel.The Salon section of Charisma pampers you with its unique Hair Spas, Facials, Nail Art, Manicure and Pedicure, Slimming and Skin services, Services for Men and Women. We also offer special Bride & Groom Packages.